Estate: For over 200 years, the Boscainis family has been crafting wines in Veneto. The name is taken from the Vaio dei Masi, a small valley purchased at the end of the 18th century by the Boscaini family. 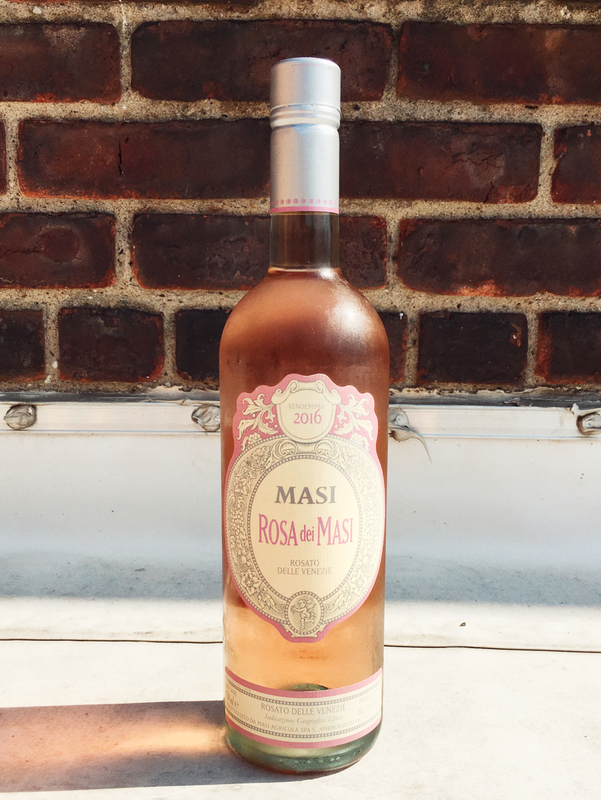 With an impressive range of wines, and an estate that includes the historic lands of the legendary 14th century poet Dante; the Masi name is instantly recognizable. Today the estate is headed by the 7th generation and has expanded their holdings, along with Count Serego Alighieri into Tuscany. Winemaking: Crafted using the leggero Appassimento technique [lightly semi-dried grapes] on a portion of the grapes, which “softens the austere character of the Refosco grape and gives the wine greater freshness and elegance”. Tasting Notes: Coral pink in color with delicate aromas of summer berries and minerals. Light flavors of raspberry, watermelon and minerals, a touch of cherry on the crisp, dry finish. Airy and refreshing, a great summer sip. Pairing Suggestions from the Winery: Excellent as an aperitif and with antipasti, light pasta dishes, shellfish and seafood.